Larry D. Thompson, who last year was appointed by the U.S. Department of Justice as the independent corporate compliance monitor and auditor for Volkswagen issued a new report that shows that the auto company struggles with transparency and slow progress in implementing internal controls in the three years since its emissions-cheating scandal. 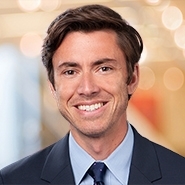 Noah Perch-Ahern, an environmental law partner with Greenberg Glusker Fields Claman & Machtinger LLP told Law360 that Thompson’s interim report puts the company on notice of its shortcomings so Volkswagen still has an opportunity to make more improvements and avoid significant fallout. If VW doesn’t rectify problematic findings, it could face stipulated penalties or find itself with more stringent terms in a subsequent renegotiated consent decree, he explained.